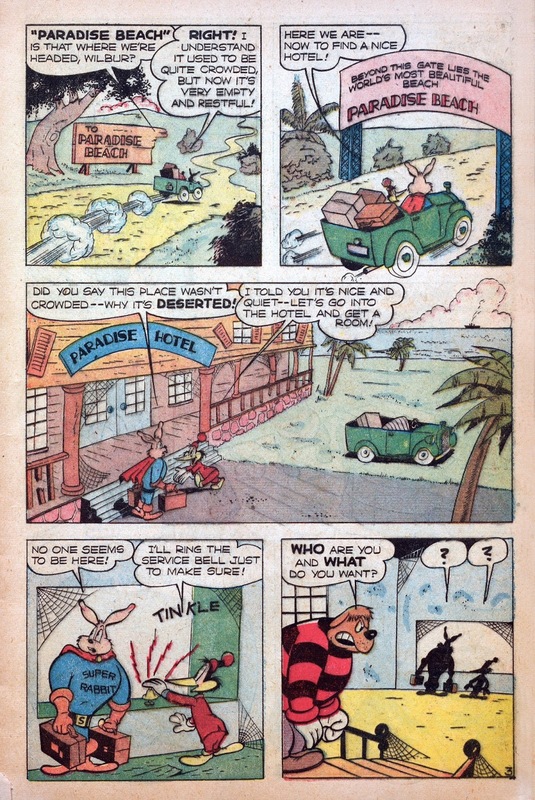 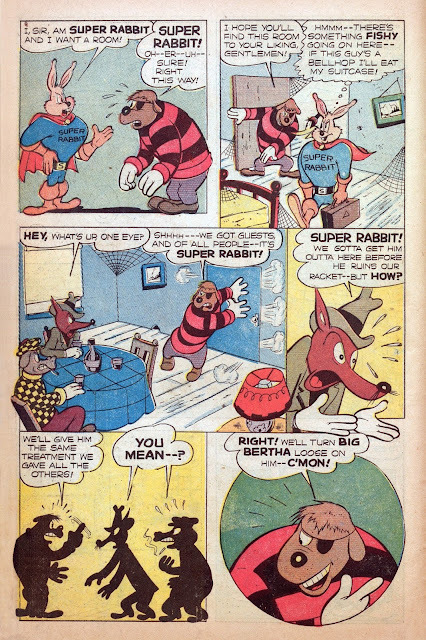 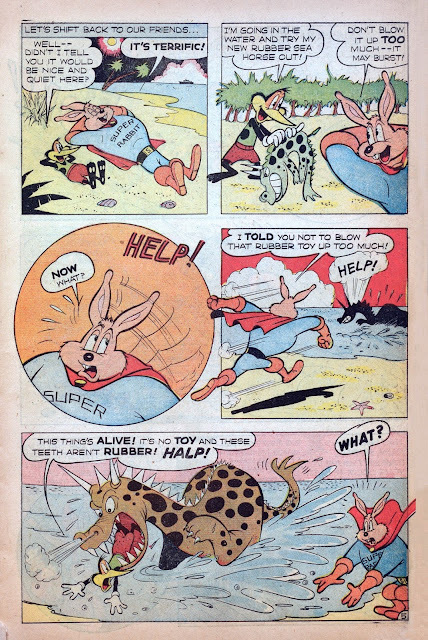 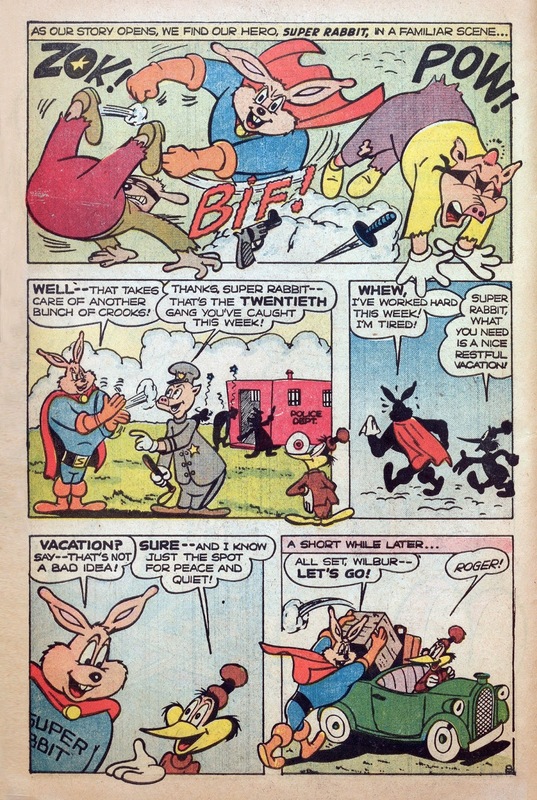 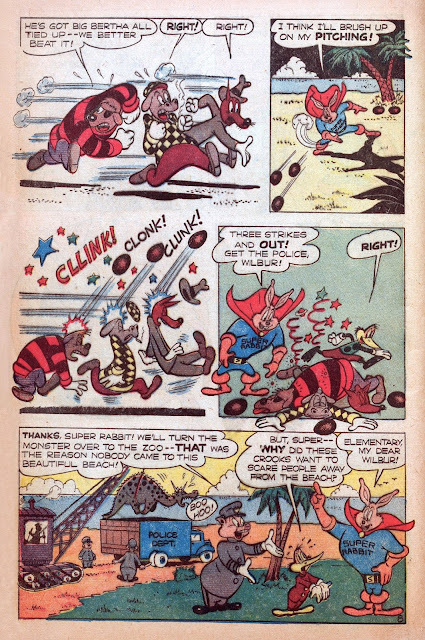 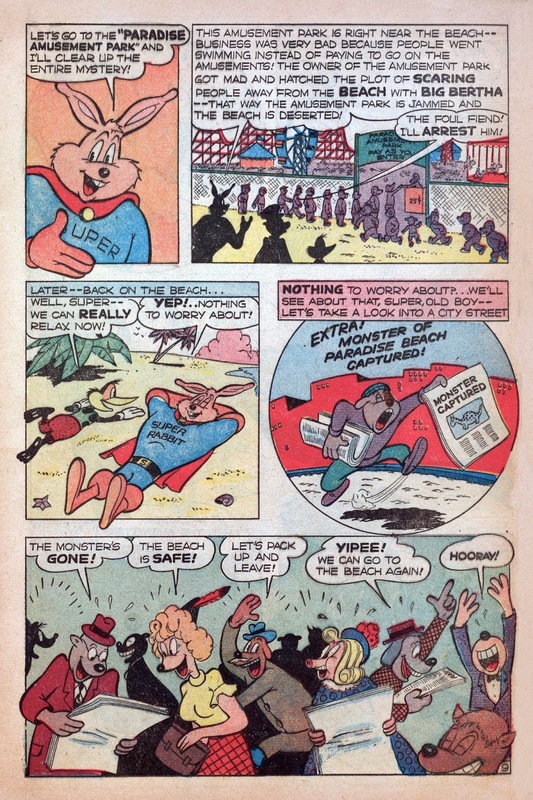 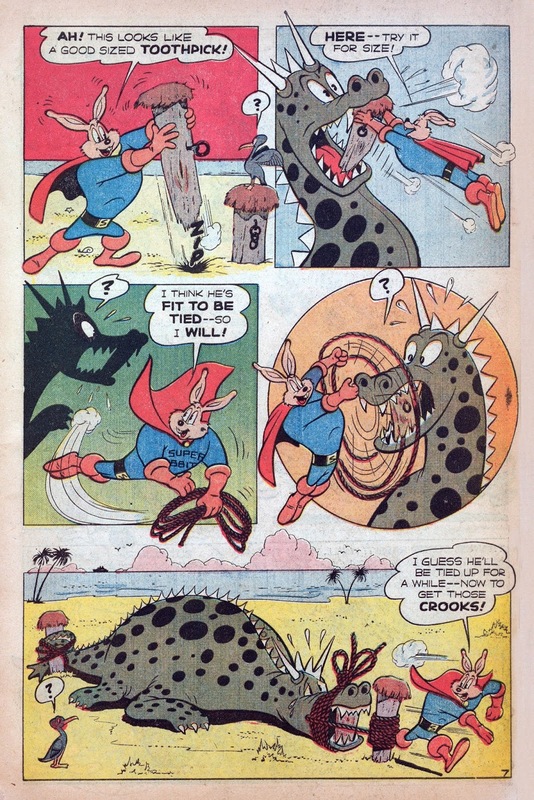 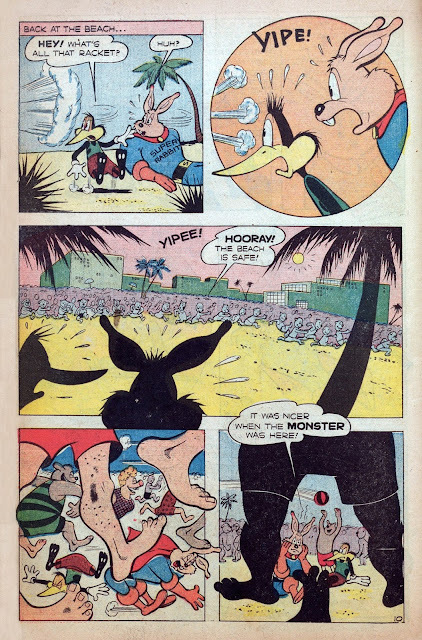 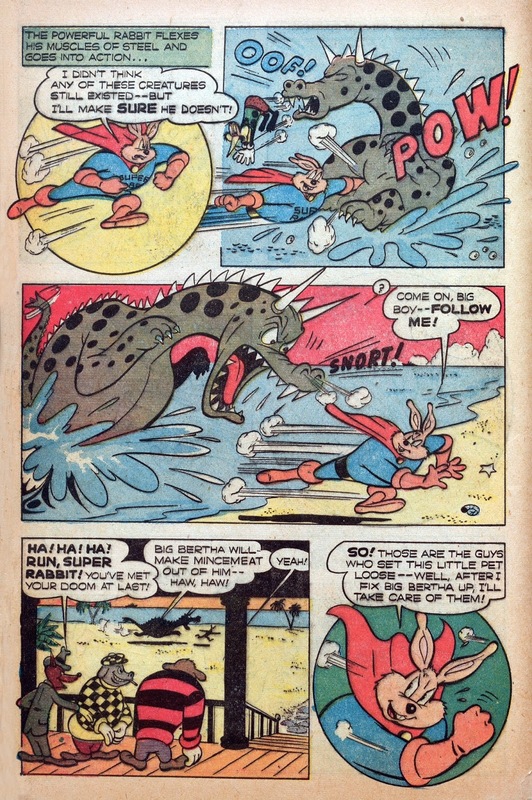 I believe I've noted before that with his blue suit and red cape it's surprising that National/DC never went after Timely's SUPER RABBIT! 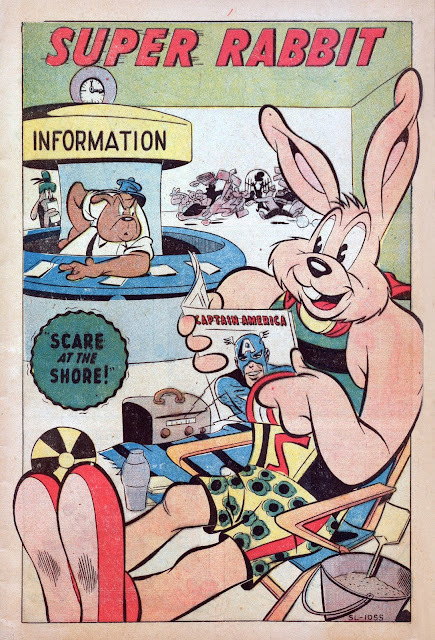 In spite of the calm splash (with a cool Captain America cameo! 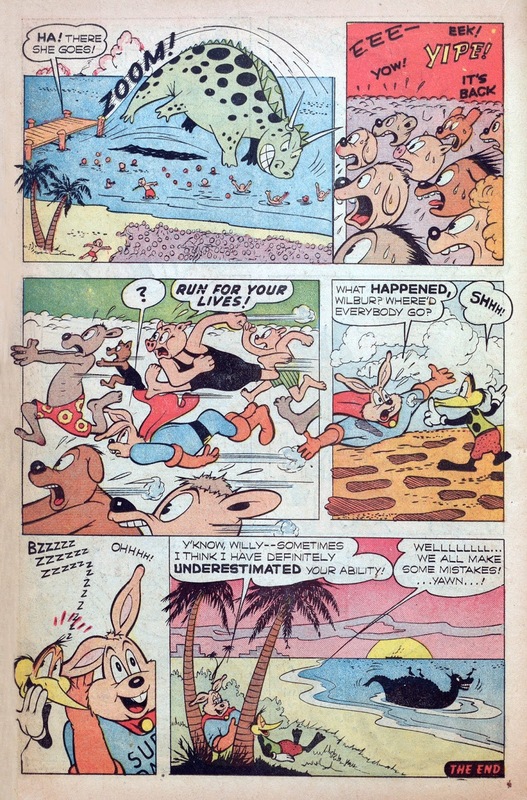 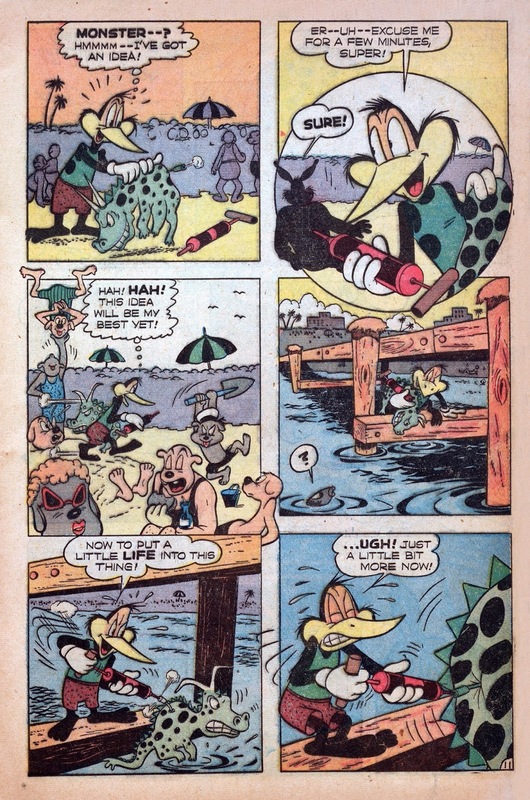 ), this is a typically frenetic installment of this long running series!